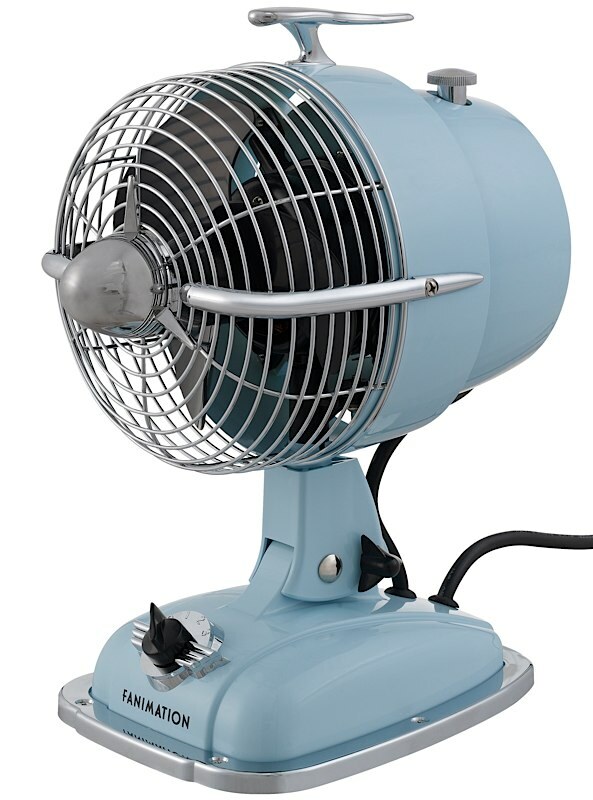 The Urbanjet by Fanimation is a hip, retro table fan that looks like something straight out of the 50's. At 6" wide and 12" tall, this is a compact size model that can easily be used on desks, bedside tables, dressers, and in your favorite workspace. Offered in baby blue, ivory, black, silver and red, you are assured of a finish that will match your color scheme. The Urbanjet is extremely portable too, weighing just 5 pounds. There are infinite possibilties of where to display this fabulous work of chic art! 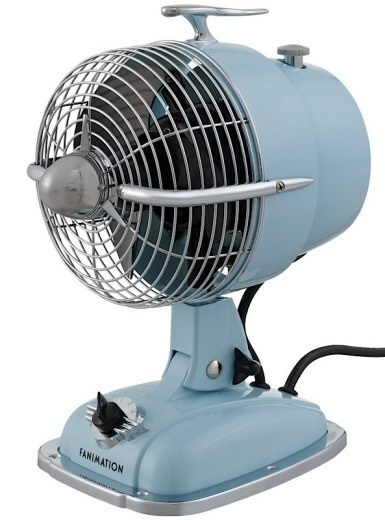 Airflow is 3002 rpm on high speed. Rated for dry locations only.